University degree in a social or health related discipline, preferably Social Sciences, Medicine, Nursing, Public Health, or other clinical oriented discipline, and a Masters degree in Public Health, Health Sciences, Health Administration, Health Economics or other health related subjects. The desirable education is Post-graduate training in family and community-oriented health services. Post Adjustment: 93.4 % of the above figure(s). This percentage is to be considered as indicative since variations may occur each month either upwards or downwards due to currency exchange rate fluctuations or inflation. 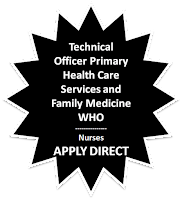 How to Apply for Technical Officer Primary Health Care Services and Family Medicine in WHO. 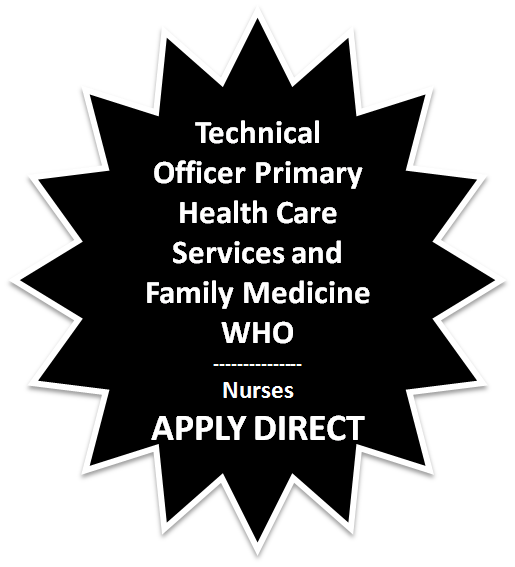 Please click on the link here to read all details and apply direct.